If you've been trying for more than one year and still haven't become pregnant, fertility drugs may be in your future. 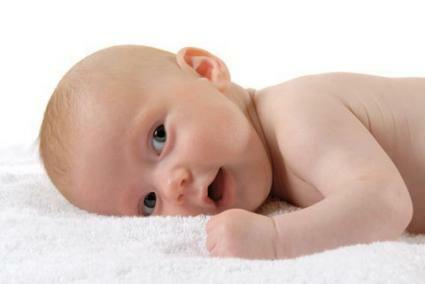 Not every woman who has trouble conceiving will benefit from these medicines. But, they can be helpful in many cases. Here are some of the drugs that are currently in common use. Be aware that your doctor may have other medicines to offer, or may use these drugs in a way that's different from what's described here. It depends on the specifics of your case. Also, doctors are constantly working to find new ways to help with infertility. These new developments may change how fertility drugs are used. Clomid is a common choice for women who do not ovulate on a normal cycle, but who have normal estrogen levels and pituitary gland function. It's taken for five days at a time, over the course of several menstrual cycles, and is meant to stimulate ovulation. Different women may need different doses of Clomid. Regulating ovulation is particularly important for timing artificial insemination, but often just correcting the irregular ovulatory cycles can help a woman become pregnant. Clomid can also be used to trigger the development and release of multiple eggs in preparation for in vitro fertilization or other assisted reproductive technologies. Side effects can include enlargement of the ovaries, which can be uncomfortable. Overstimulation of the ovaries can also cause nausea and vomiting. In severe cases, it can be life-threatening. Women may also experience hot flashes, irritability, and breast tenderness. Headaches and blurred vision are other possible complaints. Clomid raises the risk of multiple pregnancies, since it can cause the release of multiple eggs. GnRH is normally made by the hypothalamus. It's part of the hormonal cycle that governs sperm and egg production and release. GnRH fertility drugs can help women and men whose own bodies do not produce enough. They can also be used as a second-line treatment if Clomid has failed, and as a way to stimulate production of multiple eggs.GnRH fertility drugs are given as an injection, through a small pump worn close to the body. Possible side effects include irritation at the injection site and, rarely, ovarian hyperstimulation in female patients. Gonadotropins are another important part of the reproductive hormone cycle. The pituitary gland makes two types of gonadotropins: Luteinizing Hormone (LH) and Follicle Stimulating Hormone (FSH). Both are important for normal egg and sperm production. People who do not have normal levels of LH and FSH can sometimes benefit from gonadotropin injections. In women, daily injections, over about the first twelve days in the menstrual cycle, can help an egg mature and be ready for release. In men, injections several times a week can help raise the sperm count. Gonadotropins can also be used to stimulate the release of multiple eggs for assisted reproduction procedures. Side effects may include ovarian enlargement, abdominal pain, and headache, as well as potentially dangerous overian hyperstimulation. Miscarriage is more likely with gonadotropins than with some other fertility treatments. The risk of multiple pregnancy is increased. Bromocriptine reduces production of prolactin, another hormone made by the pituitary gland. Too much prolactin interferes with ovulation in women and with sperm production in men. High prolactin levels are often due to a small tumor in the pituitary gland, which may require separate treatment. Bromocriptine is usually taken as a pill. Side effects include headache, diarrhea, and dizziness. If your doctor prescribes it for infertility, he or she will probably advise you to stop taking it as soon as you become pregnant. Cabergoline is another medication that reduces prolactin levels. Also a pill, it's taken only once or twice a week. Although dosage is easier, it's not clear if it's safe for the fetus, if you become pregnant while taking it. Most doctors advise that healthy couples try to conceive for at least one year before beginning to worry about infertility. Women with known health problems may begin considering fertility treatment earlier, depending on the circumstances. The best way to find out what you should do is to talk to your doctor about your own specific case.